I noticed that Ladbrokes allegedly went 7/2 Mourinho to be next Chelsea manager yesterday, not long after the " Rafa rant". The price, if it was ever available, was totally unsustainable as other bookmakers had been trading this market before Ladbrokes and the average price of the Portuguese was consistently around the even-money mark. Predictably Oddschecker today published the moves at Ladbrokes: 5/2, 6/4, Evens, 8/11. Just over two years ago (on 22/02/11) I recommended three points @ 16/1 that Chelsea would be Mourinho's next English club managed. The bet is with legendary (non-) layer Victor Chandler, with whom my account has been closed for some time as, contrary to his image, he doesn't tolerate punters that back winners. The timing could be right for Chelsea as Mourinho looks like he will be free in the summer. This would be terrific if it came off but there are a lot of ifs and buts as yet. But how sweet it would be to cop another 48 points from the "great" (non-) layer! A good day at the races to finish the month of February on a high. Three winning days at the all-weather gaf: W 11/4, W3/1 and W16/1 for 11+ points profit overall. Looking forward even more to the start of the turf season at the end of March. Bring it on! Perfect shite drifting like a barge, currently 12.0 on betfair. Doesn't look very promising. Three points invested, six points on the day so far. Bet to follow in 19:00 race. Disappointing run from Avonvalley, having taken 18/1, finished fifth at just 7/1. Terrific value loser! Total three points 17:20 race and therefore six points invested on the day. I may have a bet in the last at Kempton (17:20) but may not post the information until 16:00 or later. Been a move for today's first selection (Avonvalley) from 18/1 > 12/1 so hopeful of a place at least. Overnight we will learn whether or not Argo has won Best Picture. I recommended just two points @ 9/2 since when the price has contracted to around 1/5. If you have just had the equivalent of two points to win I don't think it is worth hedging. However if you topped up when I blogged that it was being heavily backed (at that time reducing to around 5/2) you could consider recovering your stakes by laying Argo at the current 1.22 price on Betfair. However I am not officially recommending a covering bet so the decision whether or not to lay anything I will leave to the reader. Let's hope it wins! No luck yesterday. Late non-runner reduced the first of our two races to seven runners. The selection finished third of seven of course (@20/1) having cut out most of the running. No joy yesterday despite some serious value prices obtained: 25/1 > 9/1 SP and 33/1 > 10/1 SP. Rose Madder all the rage in 17:30, now 16/1 best but as low as 8/1 (Coral, Tote, Betfred). Value secured. Makes a total of six points on the day. Three points so far, more to follow. Something that is very difficult to do and my conclusion is do not read too much into it! Just have the confidence to take prices that you think are value. Monday we had a massive drifter - from around 6/1 out to 17.5 on betfair. Ran a reasonable race in finishing a close up fifth. Well the first-time blinkers did the trick and the selection ran on strongly to land the spoils at a welcome 8/1 SP (BOG). *I tend not to take racecourse shows but this is another "system" if you like called the market chaos theory. If you are going to take a price, take the first shortening show (in this case 12/1 following the move in from 14/1). Once a horse has shortened in the market it is more likely to shorten again than revert to a larger price. Follow a few racecourse shows and you will see what I mean. My Wolverhampton selection yesterday was not fancied at all and traded as high as 17.5 on betfair pre-race. Let's hope for a better outcome with this gamble at Kempton. Nadal duly beat Souza with just one break of serve in each set. The Spaniard did not look at his best however. He may have a tougher time with his opponent in the quarter-final who is ranked 78 as against Souza's 140. I think it's worth one more point to take Nadal on again. Berlocq is currently 11/1 with Pinnacle to win the match. Or you can lay Nadal on betfair at around 1/11 for a similar potential return. Both bookmakers require one set to be played for bets to stand. The match is scheduled to be last of the quarter-finals at around 22:00 UK time. Possible bet or two from Wolverhampton Friday. You may get a slightly higher price with a bookmaker who does not take my bets. Nadal withdrew from the doubles in Sao Paulo at the last minute last night claiming "knee overuse". He is due to start his singles campaign around 22:00 UK time today. Unfortunately Halep was forced to retire from her match after the first set. Stakes are refunded whether you placed a bet with Bet365 (or indeed at the slightly better odds offered by VC). Have taken an interest in this match as I was so impressed with Halep's first round win. She is a compact player with tremendous ground strokes and when she is on song can cause problems for higher ranked players. She is ranked 49, Ivanovic 13. The match is scheduled for around 14:00 UK this afternoon. Hopefully you got a little bet on Mona OR advised @ 6:56am. The price change did not come until 8:48am. Will probably have a match bet from this tournament later today. Terrific win tonight for Barthel. Totally demolished world no.6 Kerber in 62 minutes, 6-1 6-2. So impressive. With such a high class field here (Serena, Pova, Vika) she should be a decent price to win Doha. Strangely, she was not quoted in the Oddschecker long list (to win the tournament) yesterday. Now she has suddenly popped up as low as 14/1! Mona is still quoted at 100/1 for the French Open with several firms at the time of writing. Zaballos was of course Nadal's conqueror last night and may well blow up in the first round given his exertions! However 40s is big. Chardy is in Rafa's half, hence win only bet placed. Nadal lost both the final of the singles and doubles in Chile last night. This has not as yet had any impact on the French Open market. I watched the whole of the singles match and did not think Rafa looked great. After all he lost to a player ranked 73, the first time has lost to someone outside the top fifty on clay since 2004. Who knows what the prognosis for his knee will be? 1.5pts each-way Roger Federer to win French Open @ 14/1 Coral (1/2 odds 1,2). ...has a silver lining. Rained from dawn to dusk here. So no tennis possible for the first Sunday afternoon this year. Forced to stay indoors and find something to bet on! Given the weather in Dublin the "professional" bet was to play the unders in the points market with the line having been set around 36 points. That was a comfortable winner of course. However rugby is not really my sport so I was happy to play the low-stake nerve racking no try 14/1 option! The rain did bring some reward then with 14 points added to profits. As you may know I do not follow any professional tipsters. I do however take note of the selections of certain tipsters as they can influence a market in which I am planning to have a bet, particularly if they are on a successful run and/or are high profile. Two such examples are the Racing Post "Pricewise" column and Raceclear. The current incumbent in the Pricewise hot seat,Tom Segal, is going through a horrid sequence. He has given 25 RP tips in 2013 and only one has obliged. This sequence culminated in three losing selections in the Betfair Hurdle today (two ante-post, one on the day). Earlier in the week he surprisingly selected Darlan at 11/10, the shortest price I can ever remember being recommended in the Pricewise horse-racing column. Tom's long term strike-rate is around 11% so he needs double-figure winners to popup every now and again to remain in profit. My prognosis is that Tom will need to have a good Cheltenham otherwise I can see him stepping down (or being relieved of his duties) prior to the start of the 2013 turf season at the end of March. Bog Warrior is coughing (I know how he feels!) and will miss the Hennessy today. A shame as it would have been interesting to see how he performed against a couple of big names. Let's hope he recovers in time for Cheltenham as he deserves a tilt at one of the big races. What an intriguing race at Leopardstown this afternoon. Our old friend Bog Warrior turns out to take on the second and fifth favourites for the Gold Cup in this five-runner race. Bog Warrior has not run in a chase since falling at the last back in November when beaten. Since then he has won three consecutive hurdle races in a canter. He has his ground today as it has rained overnight and is currently officially soft, heavy in places. You can see him setting off and trying to make all. He could come down and hence revert to his most likely Cheltenham target - the World Hurdle - for which he is a solid 10/1 chance. Should he win the Hennessy he will no longer be a 66/1 chance for the Gold Cup! Small interest is warranted at the 10/1 on offer for today's race. Interestingly Paddy P are only 7/1. A long way to go of course. Mona Barthel was very impressive in winning the Paris indoor. Unseeded, she beat Vinci (world ranked 16) and Bartoli (10) on the way to the final. She beat world number seven, Errani, in the final in straight sets. Interesting that the markets were very keen on her throughout the tournament. She had a few wobbles in the final though and admittedly I laid her for a few quid at 1/10 when she was a set and a break up. Is she the new Steffi Graf? I don't think so - but these German ladies develop relatively late. She is 22 whereas Goerges (19) is 24 and Kerber (6) is 25. Mona is now ranked 28 and could make top ten this year. Please take note of the size of these wagers. Three figure odds will not be landed very often! The only bets advised to date that came close were Aggie for Wimbledon 2012 each-way 100/1 (place paid at 50/1) and Vinci 100/1 for 2012 US Open semi-final (reached quarter-final allowing hedging bet). Keep your stakes to a minimum is my advice. The French teenager wasn't good enough to take out Mona Barthel. No damage done though. Stakes on WTA Paris: ten points, return guaranteed: ten points. Free hit running of two points @ 12/1 Mona for the title (now generally a 4/7 chance to beat the No.1 seed Sara Errani). With regard to the four draw bets on the ANC, the second match has just finished 1-1 after 90 minutes for a return of 19.5 points (6pts @ 9/4).Total invested on ANC: 20 points, return so far: 19.5 points. Two matches tomorrow, if there is no drawn match we will lose half-a-point on the tournament. So for a winning Sunday we need either a Mona win or a drawn ANC quarter-final match - otherwise we drop half-a-point! Funny old game, tennis. Confidence plays a huge part. 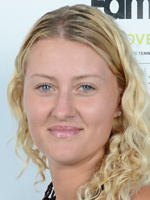 Kvitova, the best player indoors over the last 2-3 years, is woefully short of it at the moment. She couldn't cope with the young Mladenovic's confident power hitting. Tennis bet likely prior to 13:00 today.